Grace Millane: NZ radio host's tearful message after backpacker's death. 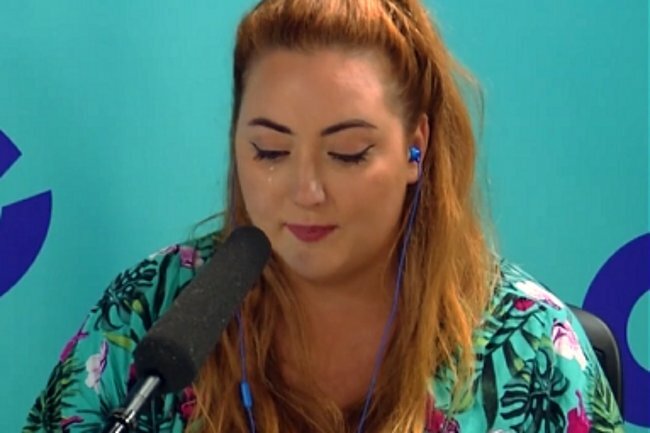 New Zealand radio host's tearful message after the death of backpacker Grace Millane. A New Zealand radio host became emotional when calling out those who somehow blamed Grace Millane for her own death while backpacking solo across the country. 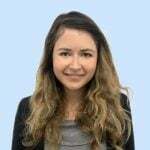 The 22-year-old former student was one leg through an around-the-world trip and had just begun the next when she was found dead in the Waitakere Ranges, west of Auckland last week. A 26-year-old man, whom it’s believed she had been on a Tinder date with, has been charged with her murder after she was last seen alive with a “male companion” at the hotel in Auckland where he lived. Neither of these details should have been interpreted as somehow making her murder her fault, and yet across sections of the community, they have been. Meg Annear, a breakfast radio host for The Edge’s Dom, Meg and Randell show, saw this and chose to call out the sexist thinking. “I have heard and seen too many comments asking the question what was she doing travelling by herself. Or whether she was on a Tinder date or not,” Meg said on-air as she fought back tears. Grace Millane was found dead last week. Image: Instagram. "I’ll say it again louder for the people in the back, this was not her fault. "Nor was it her parents, who would’ve proudly dropped her off at the airport with a backpack on her back and a smile on her face. "The question we should be asking is why did a man feel he had the right to take her life? "Every woman should have the freedom to travel without the fear of death and violence." Grace was reported missing on December 5 and on December 8, a 26-year-old man, whose name has been suppressed by NZ courts, was charged with her murder. 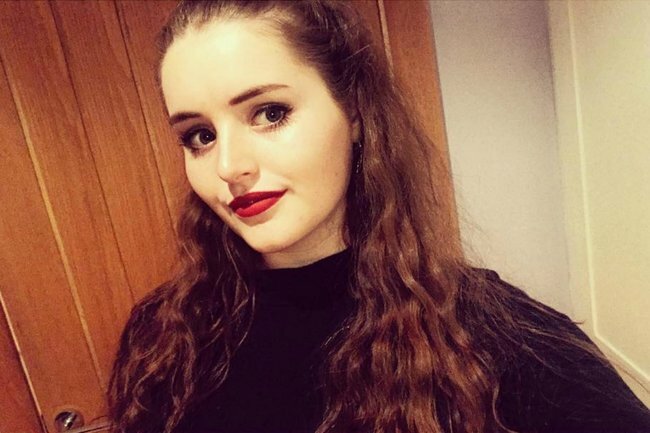 The UK national from Essex, England had just finished her degree at the University of Lincoln before travelling to South America for almost a month and then landing in New Zealand, where she had been for just two weeks before her death. Meg related the young woman&apos;s adventure to her own travels as a 19-year-old. "Grace wanted to come to New Zealand and enjoy all of the things that we love about our country, what we pride ourselves on. The scenery, the food, friendly people. "I know of many women who have done the same - family members, co-workers and friends all packing up their lives to enjoy the world. "And they all come home full of stories, and memories and life experiences they would never have been able to achieve by staying still. Grace won’t be going home and telling her stories." "She was unfairly, gut-wrenchingly taken away from us. And it wasn’t her fault." Although Meg did not condone victim-blaming, she did encourage women to keep their friends updated and informed them of a safety feature on their phone. "My female friends: please let friends know where you are, who you are with and keep in touch with each other. "There is an alarm on your iPhone you can activate that will call the police if you feel scared, press the on-off button five times in a row and you will hear [a siren sound]. "Samsung users, press that button three times and it will call your emergency contact. Look after each other." She had an equally important message for men: "Please keep each other accountable". "If you hear a mate talking disrespectfully of woman — be an ally to us and call them out on it. "We have a long way to go for Aotearoa (New Zealand) to be the safe oasis we advertise ourselves as." The video of Meg&apos;s speech gained hundreds of supportive comments when it was posted on Facebook on Sunday. "Thank you Megan for saying everything we are all thinking. Beautifully said. My heart is broken for Grace&apos;s family and friends," commented one listener. "As a female who has travelled alone all over the world this had me choked up. I agree with everything u have said," another commented. "Thank you for using your platform and speaking up for grace and woman in general." Another agreed, "Well said extremely powerful. Extremely sad for her family. No one has the right to take someone&apos;s life."